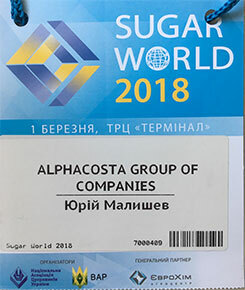 Being one of the 15 largest freight forwarders in Ukraine, we provide comprehensive solutions for the transportation of goods and logistics, with all types of transport, both in Ukraine and abroad. 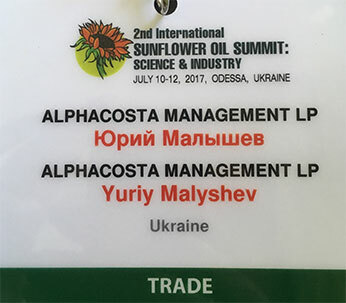 Key activities: forwarding and logistics. 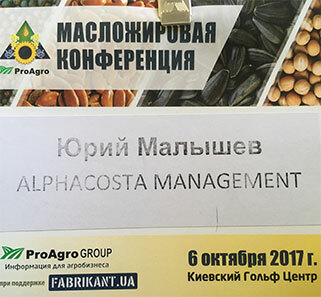 Opening of the company Alphacosta Management. 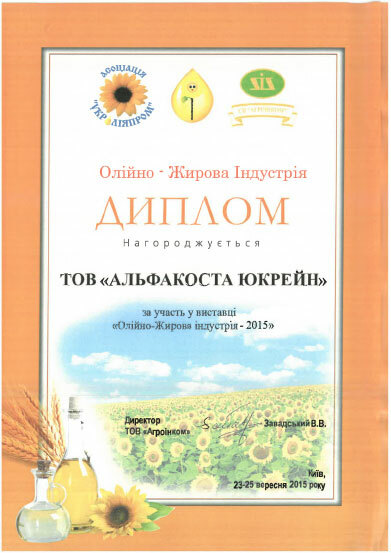 The development of sunflower oil transportations in flexitanks of the TS brand. 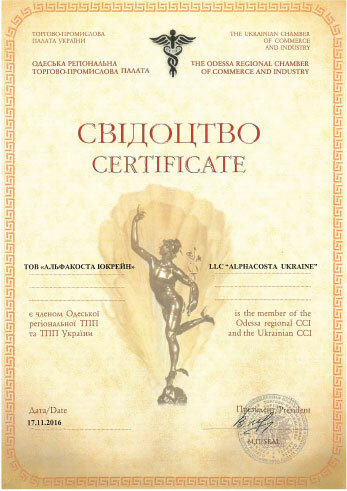 the only authorized distributor of TS flexitanks in Ukraine. First charity support for children is turning to an everlasting good tradition. 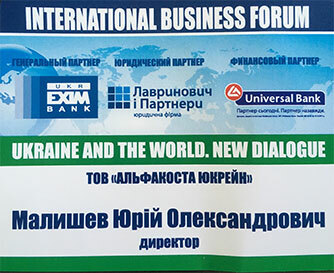 is the member of the Odessa regional and the Ukrainian Chamber of Commerce and Industry. Purchase of 2 more trucks. 4 own trucks now. 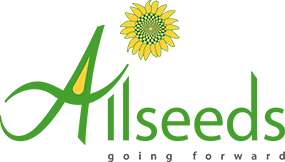 Development of our own chartering department. 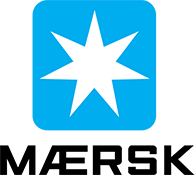 Increasing of total amount of shipped TEU. Purchase 2 trucks more. Now 9 trucks are available. 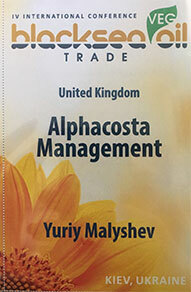 Opening of the company "ALPHACOSTA UKRAINE"
to provide logistic services on Ukrainian market. Transportation of bulk and containerized cargoes. 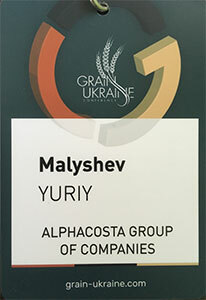 Our first participation in a profile conference. 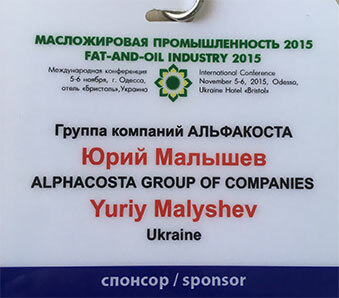 It was "Maritime days -2015"
Sponsor of the International Conference "FAT-AND-OIL INDUSTRY 2015"
Purchase of 1 more truck. 2 trucks now. 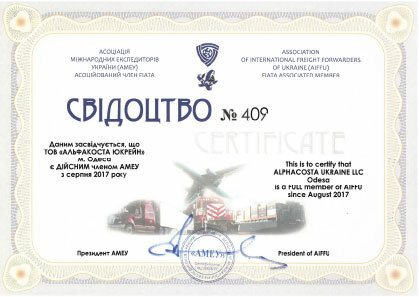 ALPHACOSTA UKRAINE LLC is a FULL member of Association of International Freight Forwarders of Ukraine FIATA Associated member. 3 trucks more. 7 trucks for this moment. Widening of our activities. 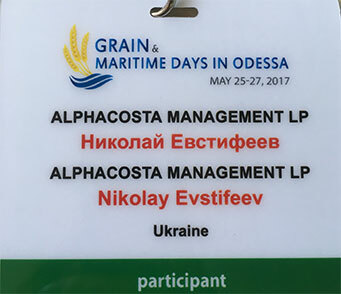 Opening of the own chartering department. 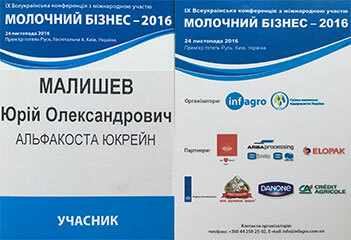 The freight market is growing rapidly. 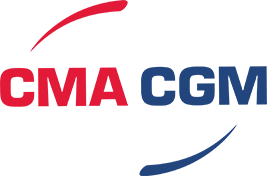 At the same time, the development of maritime infrastructure is proceeding in a more evolutionary than revolutionary way. 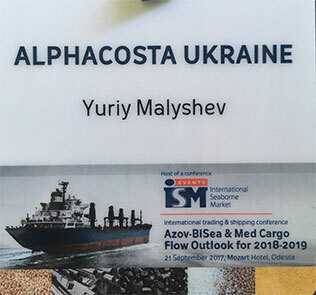 Yuri Malyshev, CEO of ALPHACOSTA GROUP OF COMPANIES, kindly agreed to tell about the state of the shipping market and its development prospects in the near future.